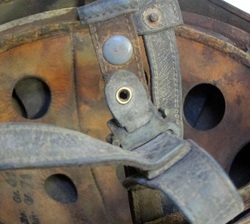 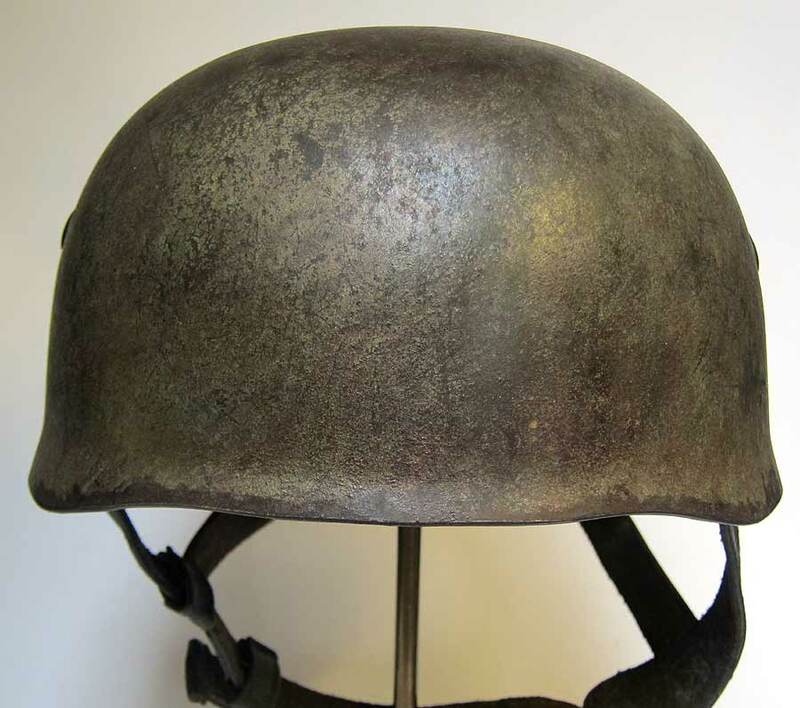 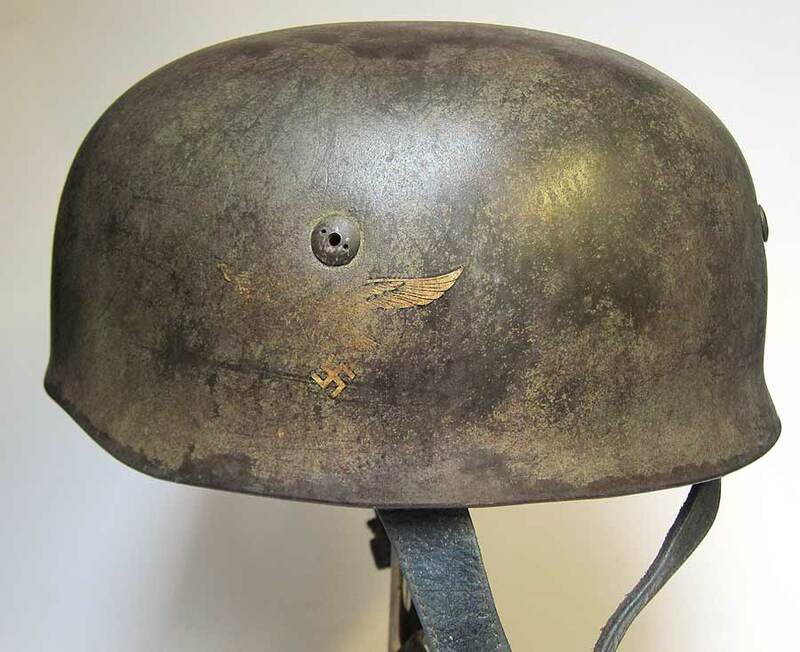 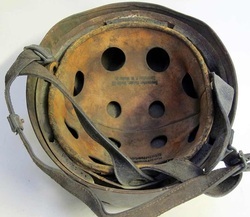 This reproduction helmet is a M38 early to mid war version of the paratrooper helmet in dark green paint with double decals. 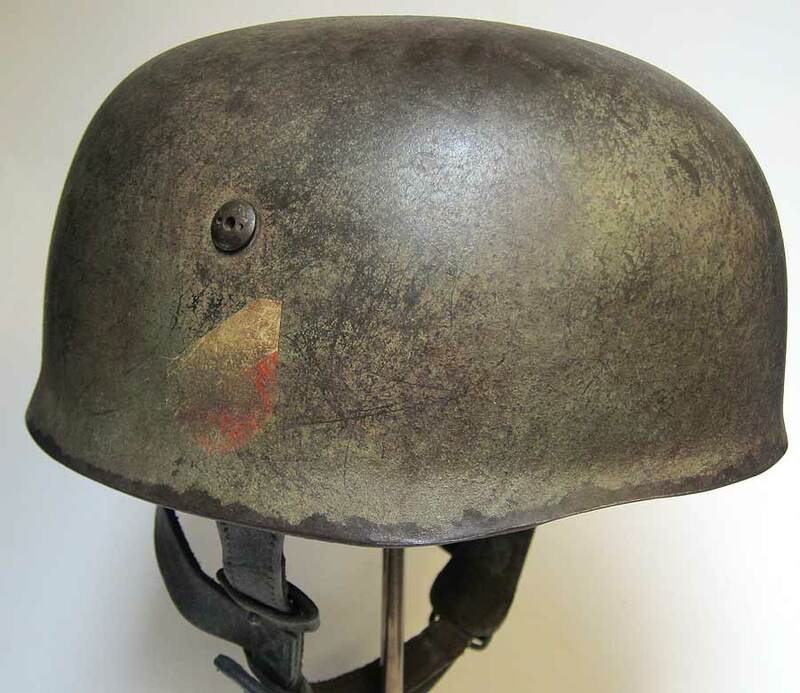 It has a traditional Normandy paint scheme in tan and green with small amounts of sawdust. 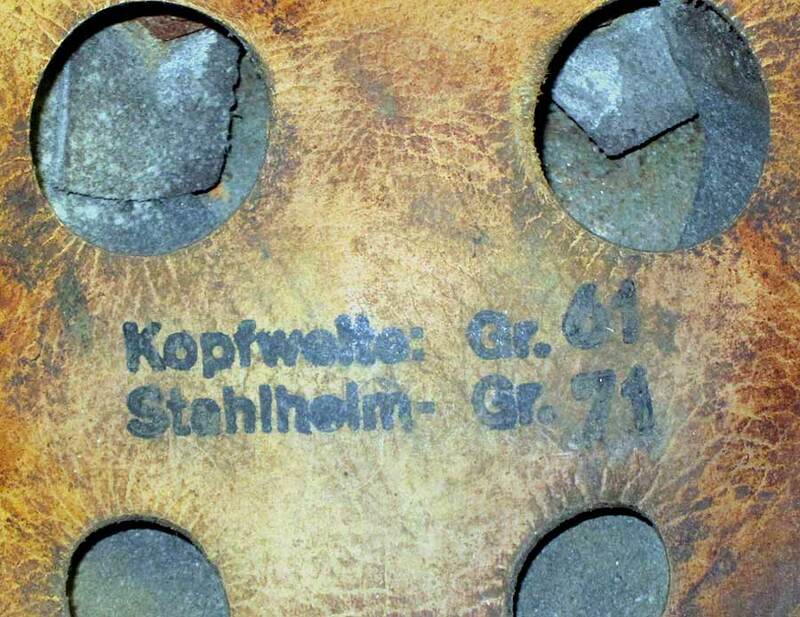 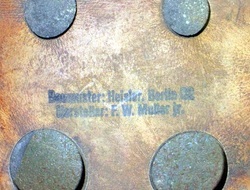 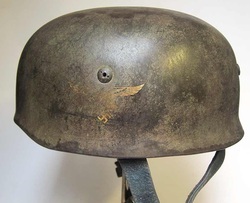 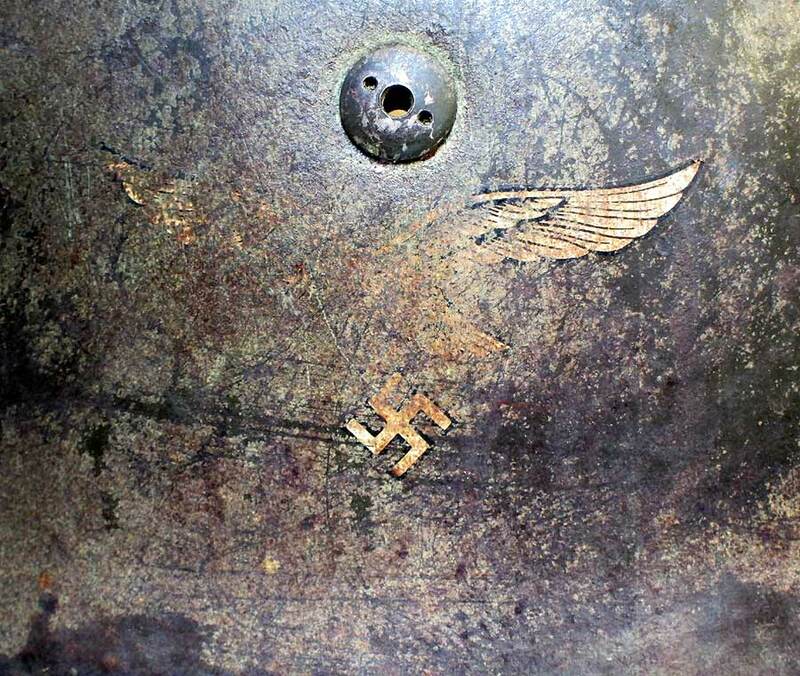 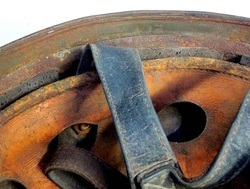 It represents one used by the Luftwaffe Fallschirmjaeger from approximately 1940 onwards and is suitably stamped with ET71 (Eisenhutten Thale) and batch number. 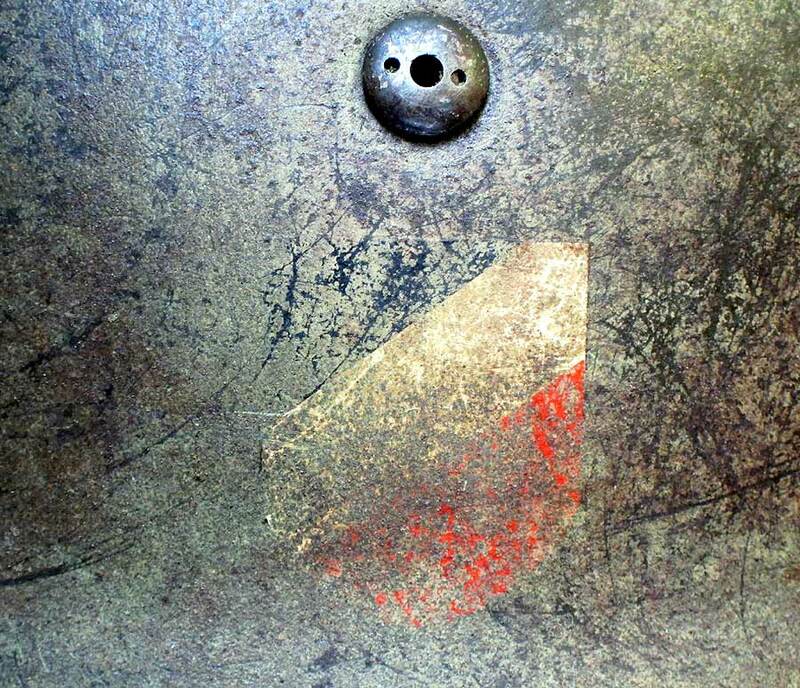 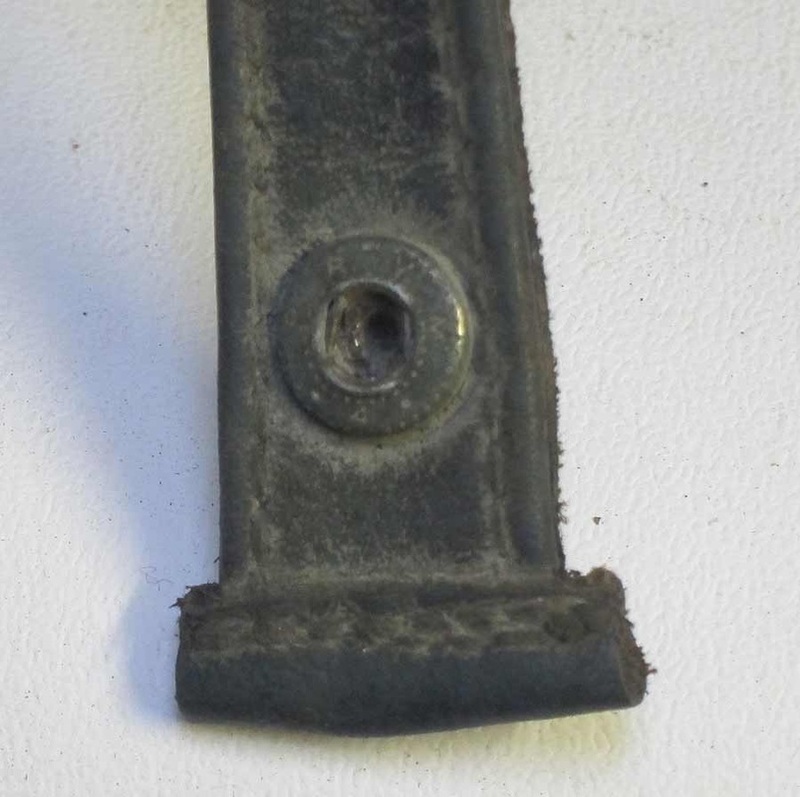 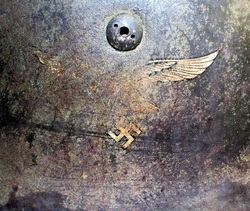 It has a later war zinc liner band fitted which has suitably rusted in places. 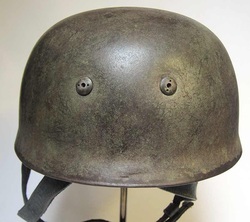 It has a PRYM 4 chin strap popper fitted. 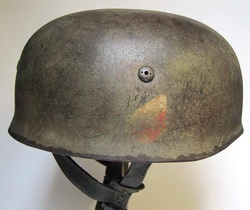 This is not an inexpensive paint job as found on most well known auction sites - effort and time has been spent to get it as accurate as possible for a Normandy helmet.